Brushy Mountain State Prison | Nobody Move! On this date in 1977, James Earl Ray, the man who assassinated Martin Luther King, escaped from the maximum security Brushy Mountain State Prison in Tennessee. The escape happened after dinner. A disturbance began in the recreation yard of the prison. As the corrections staff was distracted, Ray and six other inmates scaled the wall on the opposite side of the yard using a makeshift ladder. One of the inmates, who had injured himself in the escape, was captured just outside the prison wall. The remainder were captured over the course of the next two days. Ray was tracked down by bloodhounds. He was found hiding in a pile of leaves five miles from the prison. 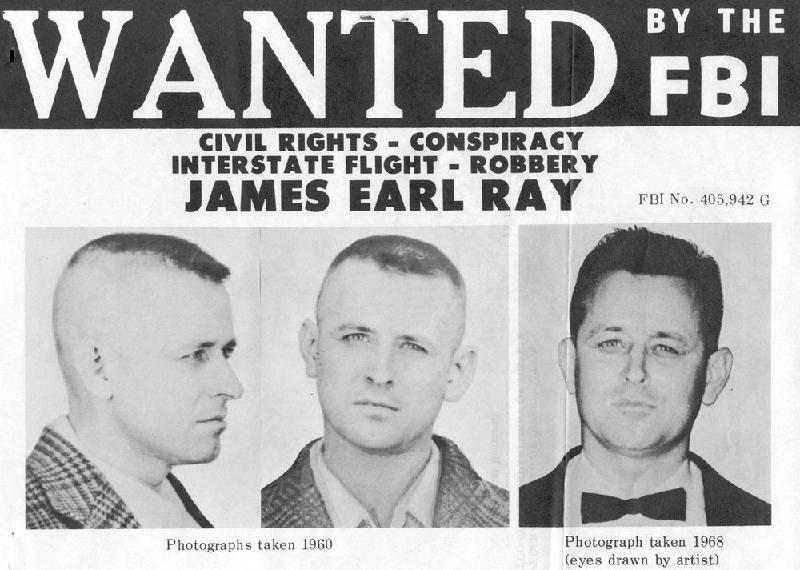 James Earl Ray died in prison in 1998 at the age of seventy. Brushy Mountain State Prison was closed in 2009.